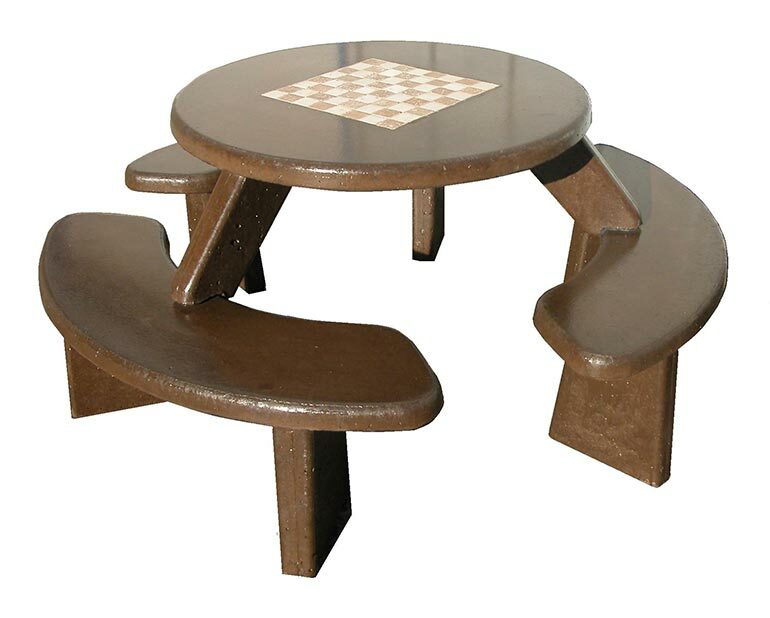 Looking for durable concrete tables for your school? 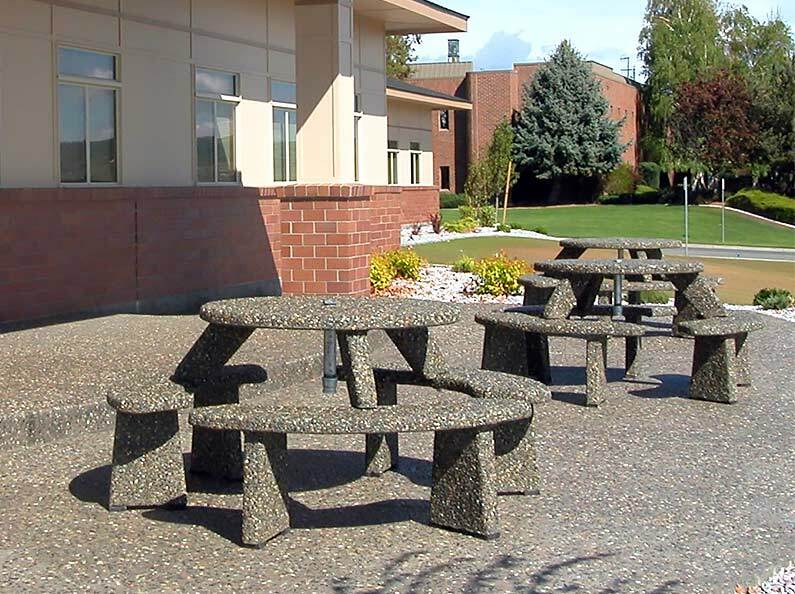 Or how about concrete picnic table and benches for a commercial park settings? 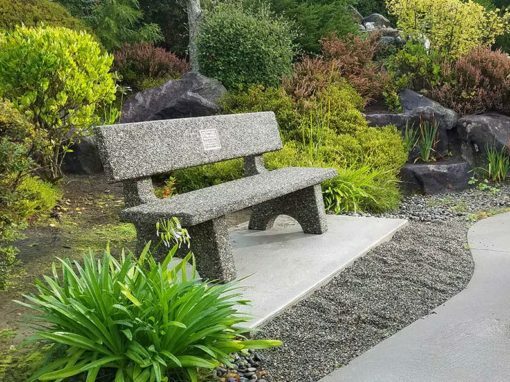 Ornamental Stone Inc. provides several different syles and sizes to meet your needs. 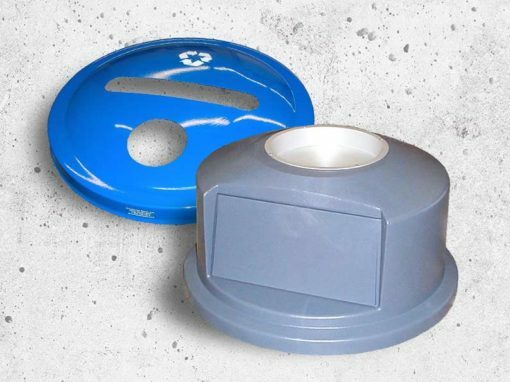 Take a moment to see the different options we offer, and contact us with any questions you might have. 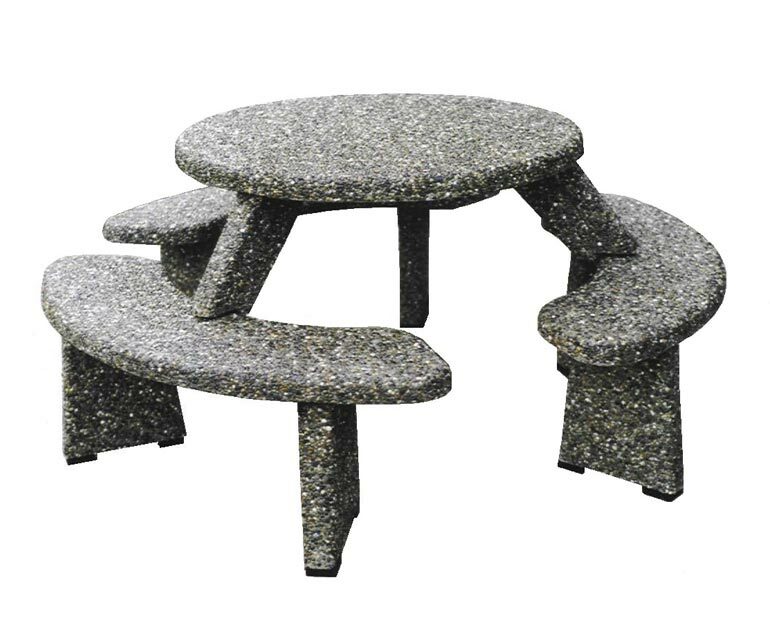 All concrete aggregate stone site furnishings available in the same color finishes as our popular Xinh Collection. 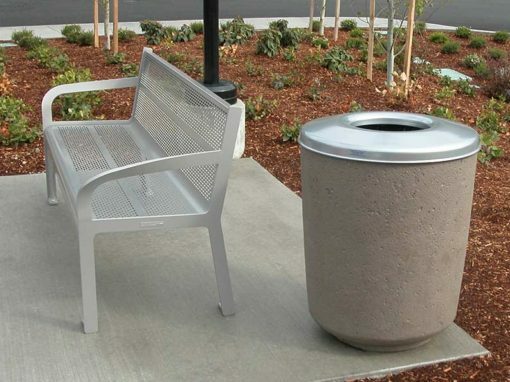 Custom colors available! See the Sherwin Williams color chart for more options. 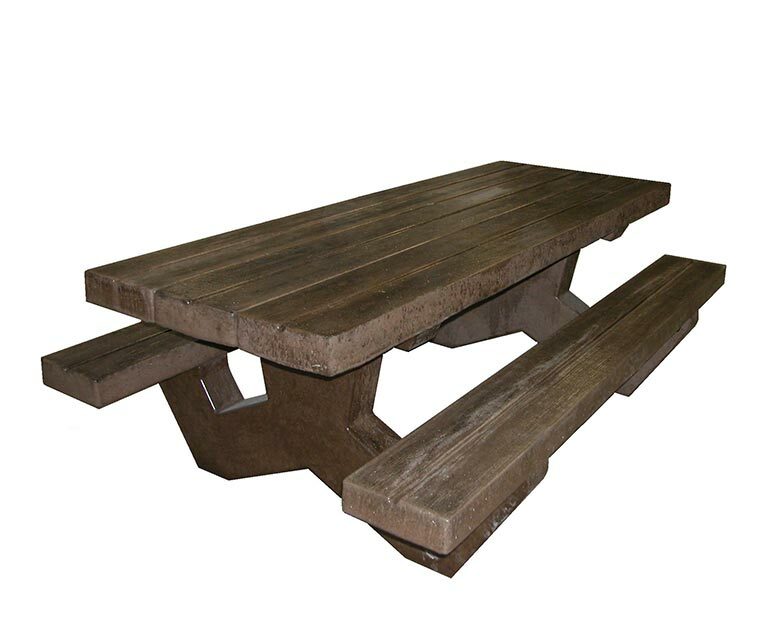 This latest table features a 92″ long table top with simulated wood grain finish that looks and feels remarkably like real wood! 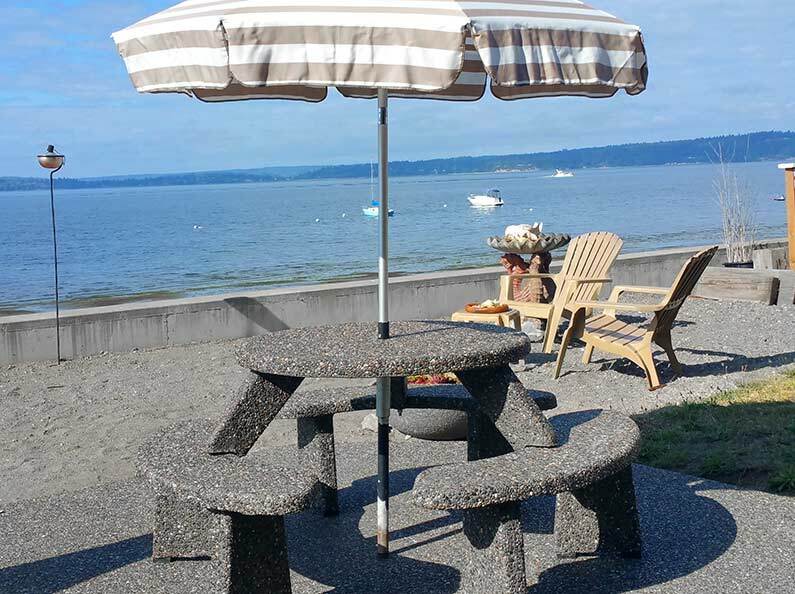 Our cement picnic tables and benches are durable and beautiful! 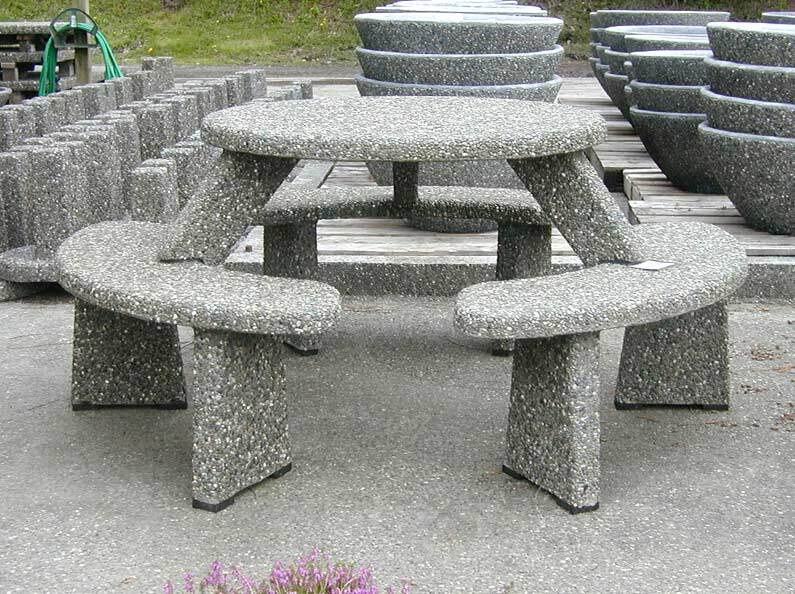 At Ornamental Stone Inc., we create beautiful concrete picnic tables and other site furnishings built to last! 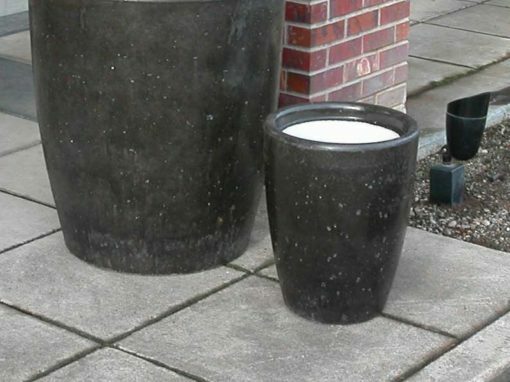 Get in touch with us if you have questions about any of our cement products. 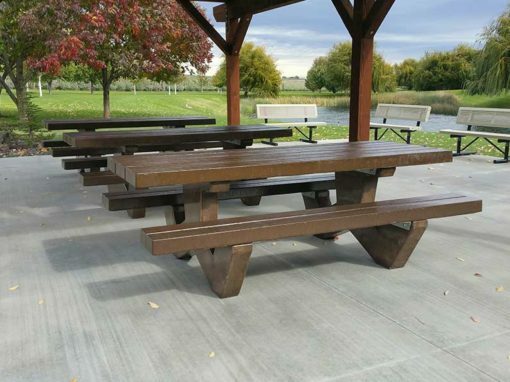 Are you a park or a school in need of concrete picnic tables? 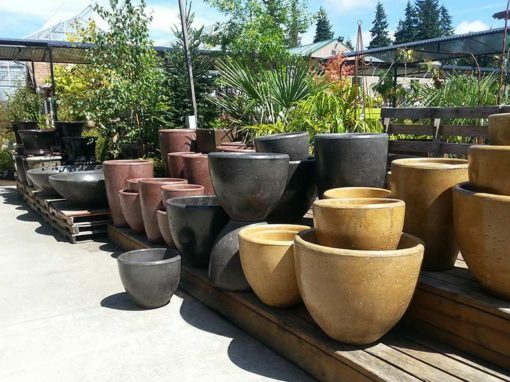 We can help fulfill your landscaping vision! 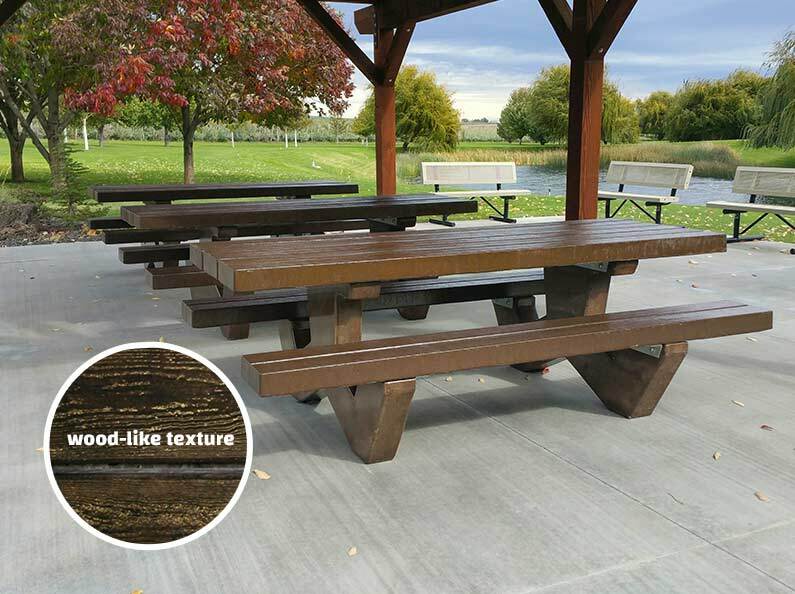 Want to take a look at more than just cement picnic tables? 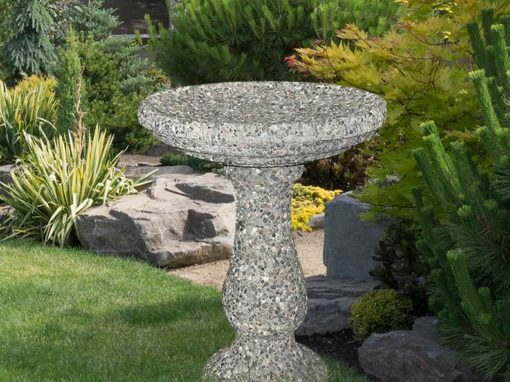 Explore our large line of other concrete site furnishings!